How hard it is to escape from places. However carefully one goes they hold you - you leave little bits of yourself fluttering on the fences - like rags and shreds of your very life. the theme today's tattoos have in common is love of place. the top photo is of vincent -- although vincent now lives here on the north coast his left arm is an homage to his california 'home' and pictures the pier in huntington beach (which he considers his home), two bluebirds which in the cosmology of tattooing denote love and happiness, a bright sun, and the logo for the california angels baseball team. the second photo is of josh who i met this past weekend. 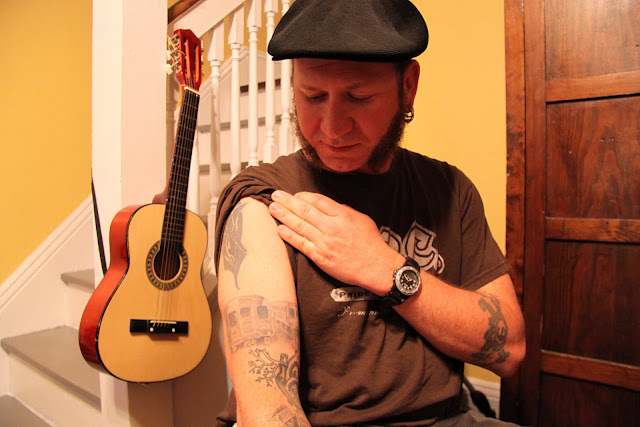 i was taken by his eclectic and artful assortment of body art; among the images on josh's right arm are two train cars of the cleveland rta - as a fan of public transport i applaud this embodied monument to mass transit. shangri-la by the kinks - appearing on their 1969 concept album arthur. 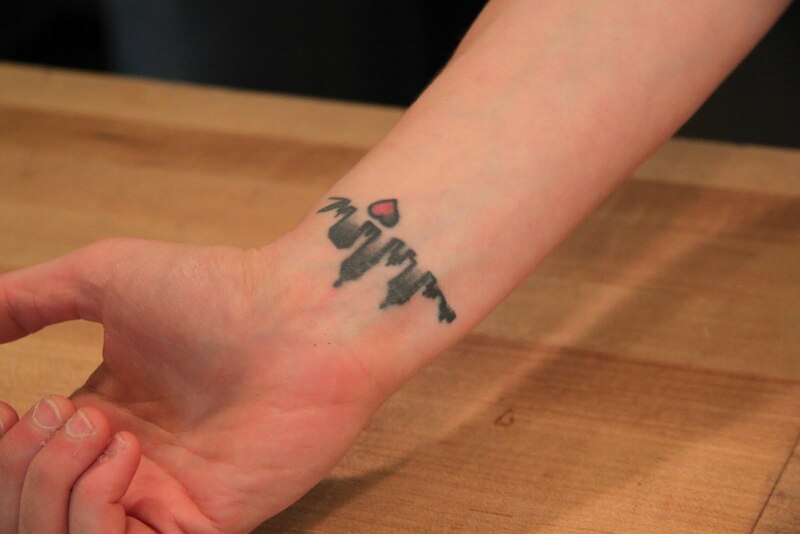 It's great that people tattoo themselves with symbols of home -- the skyline, or the train cars. Home does tattoo us all, at least internally, right? well said steve - home does tattoo each of us!! It's chilly and wet here today...I kind of wanted to take Vincent in and give him hot soup!